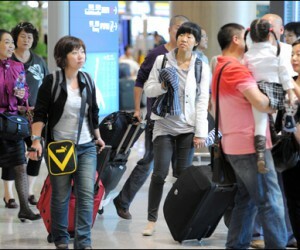 Research by the UN World Tourism Organization has revealed that Chinese are the world's biggest tourists. Research by the United Nations World Tourism Organization (UNWTO) has shown that Chinese travellers are the world's biggest spenders, splashing out a record R933.8 billion on trips abroad in 2012. The number of Chinese travellers tourists jumped from 10 million in 2000 to 83 million in 2012, the UN attributing China's rising disposable incomes and an easing of travel restrictions to the increase. 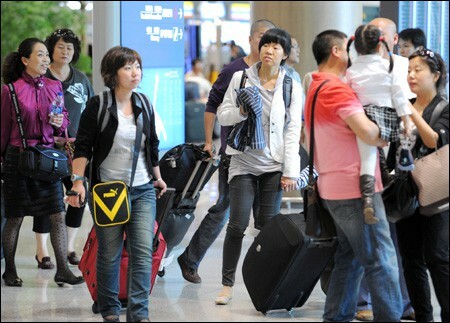 Expenditure by Chinese tourists abroad has also increased almost eightfold since 2000. Boosted by an appreciating Chinese currency, Chinese travellers spent a record R933.8 billion in international tourism in 2012, a 40% increase from 2011 when it amounted to R667.4 billion. China has now become the largest spender in international tourism since 2005 overtaking Germany, the United States, Italy, Japan, France and the United Kingdom in travel expenditure. After China, travellers from Germany and the United States splurged the most on foreign trips, each spending around R768.2 billion last year. Among other emerging countries, Russians and Brazilians are continuing to travel and spend more. Russia jumped from seventh to fifth place with a 32% increase in spending to R393.3 billion, while Brazil moved from 29th place in 2005 to 12th with an expenditure of R201.2 billion last year. "The impressive growth of tourism expenditure from China and Russia reflects the entry into the tourism market of a growing middle class from these countries, which will surely continue to change the map of world tourism," said UNWTO Secretary-General, Taleb Rifai.